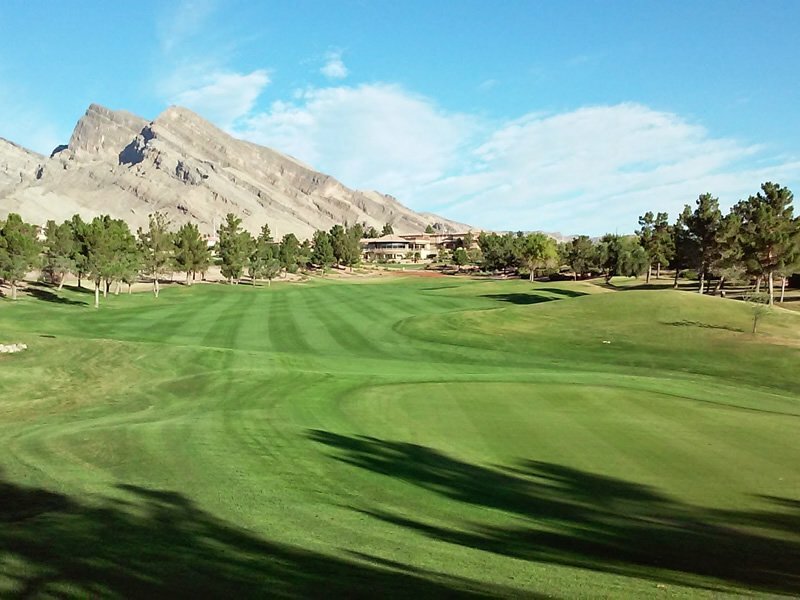 Eagle Crest Golf Club is one of five Billy Casper and Greg Nash designs in the Las Vegas valley. 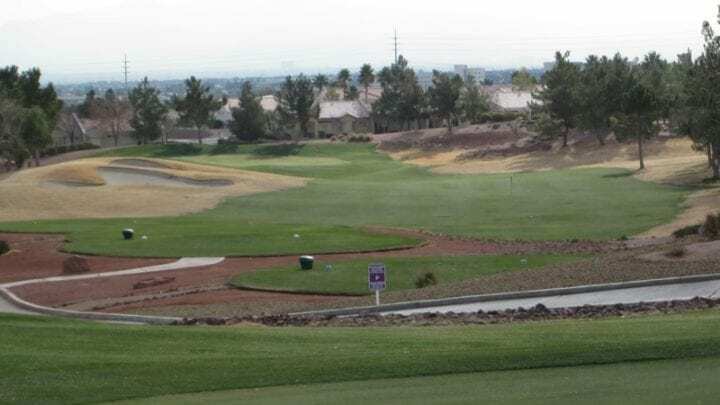 The executive-length (par 60) layout is home to six par 4s and 12 par 3s and is located in the master-planned Sun City Summerlin retirement community; also home to Palm Valley Golf Club and Highland Falls Golf Club. 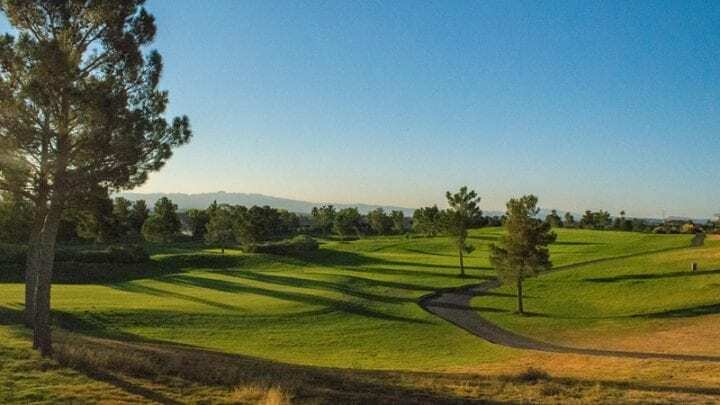 Eagle Crest Golf Course is a great place to go for a quick 18 or an afternoon round on a 36 hole day. 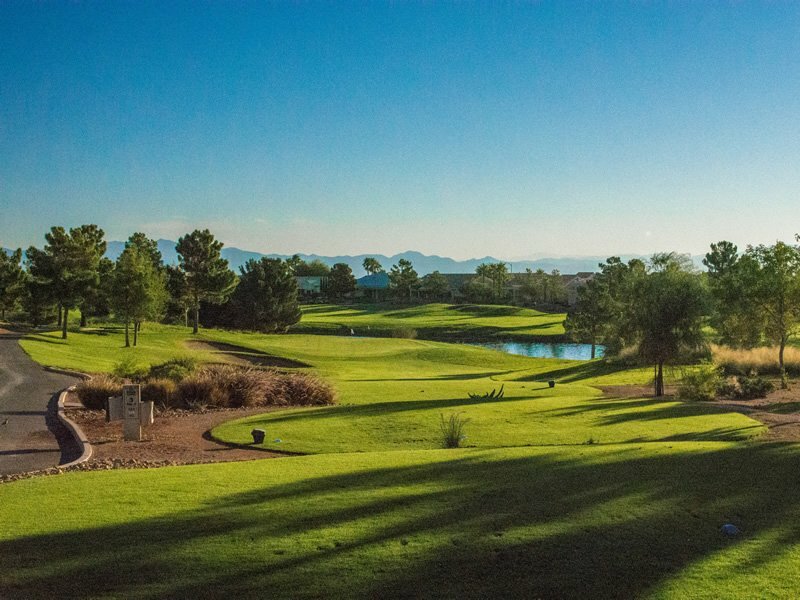 The 2nd round doesn't beat you up, but you have to hit good shots to score. 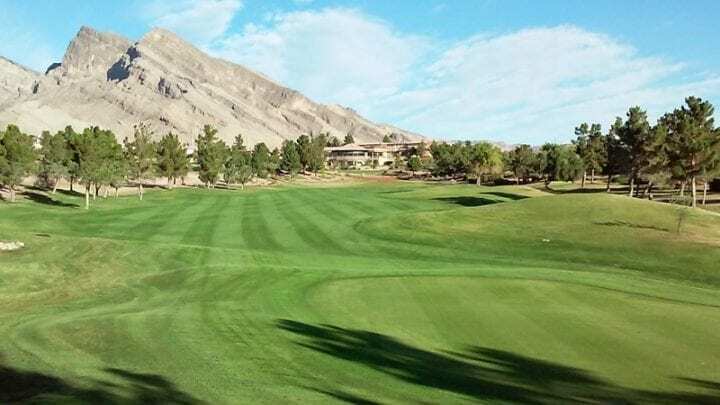 Designer Billy Casper says, "You can take any hole from this course, put it in the middle of a championship course, and it would fit right in." 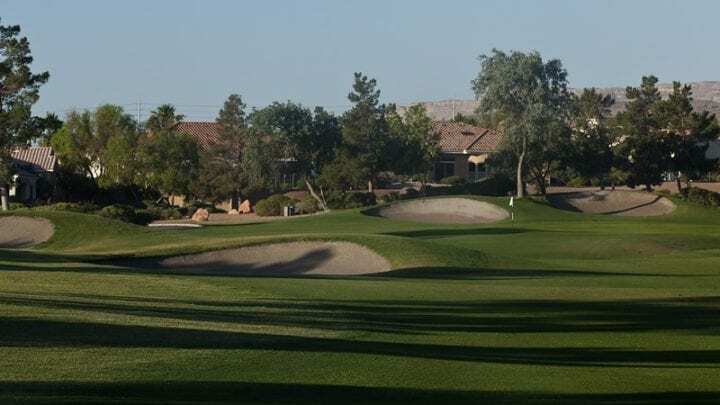 Eagle Crest Golf Club has been created for players of all skill levels and features beautifully manicured Bermuda greens and rolling Bermuda fairways, which are overseeded for winter play. 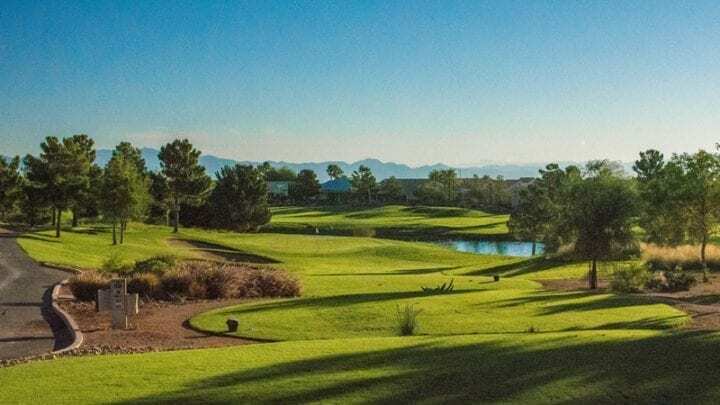 The signature hole is the cleverly designed number five, a 347-yard par-4, which is set up to give players the risk-reward options. 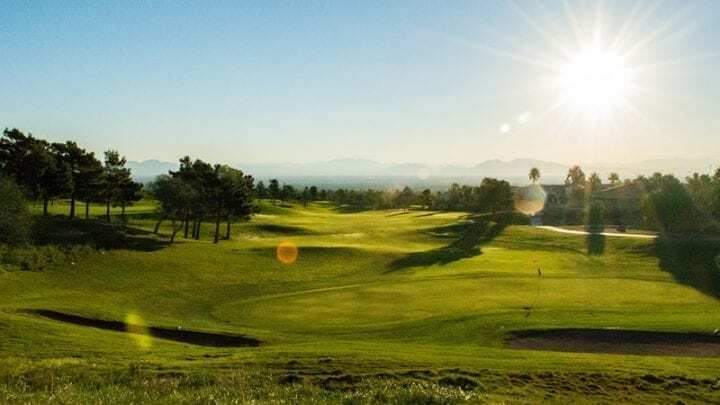 Water runs from tee to green along the right side, and a fairway bunker left further narrowing the landing area for a long-iron of fairway-metal tee shot. 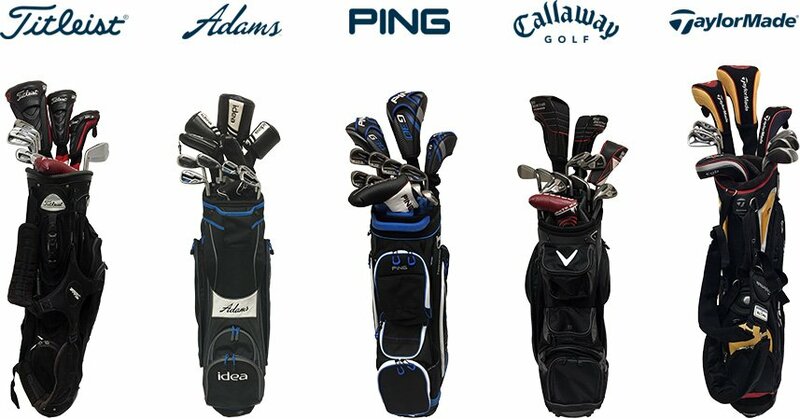 For the long hitters who naturally pull out the driver, beware. 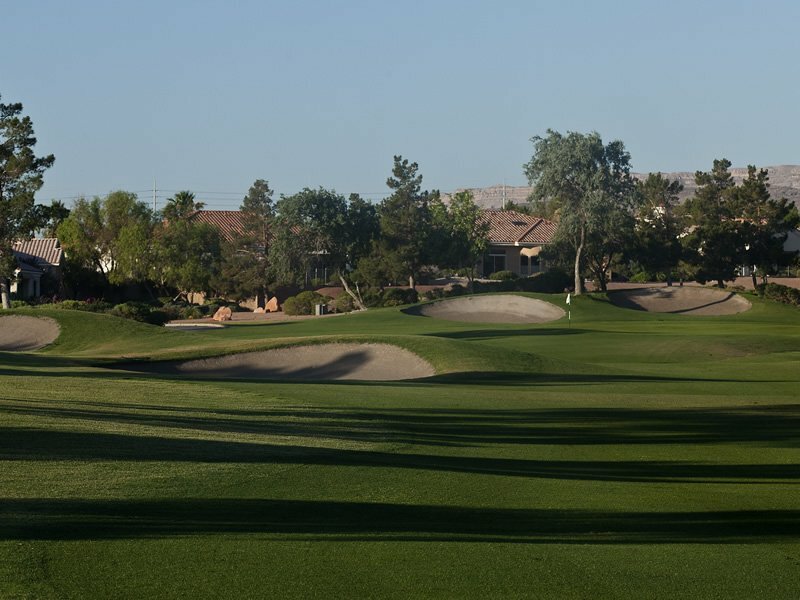 The fairway narrows behind the bunkers and an additional fairway bunker left waits to punish drivers that are afraid to hit it near the water. 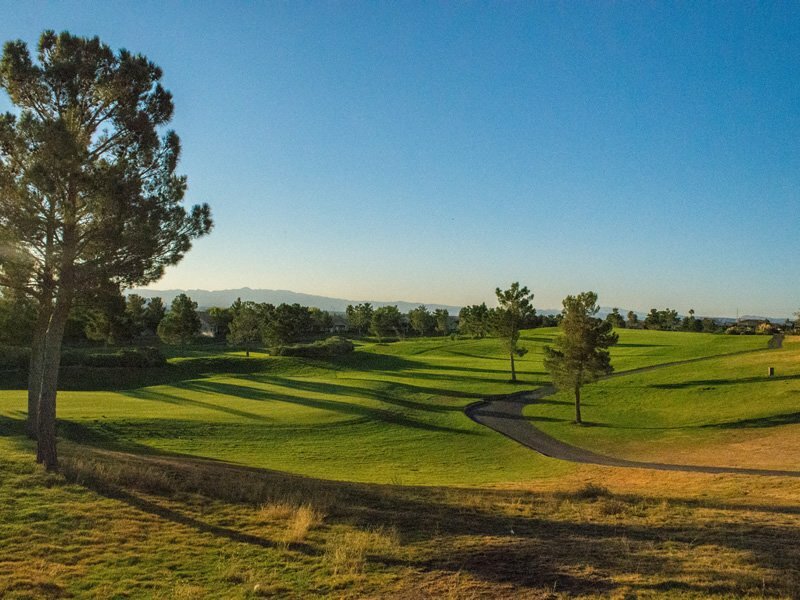 The course encompasses a series of holes that are distinct and memorable and which require a full range of shot-making skills and accuracy. 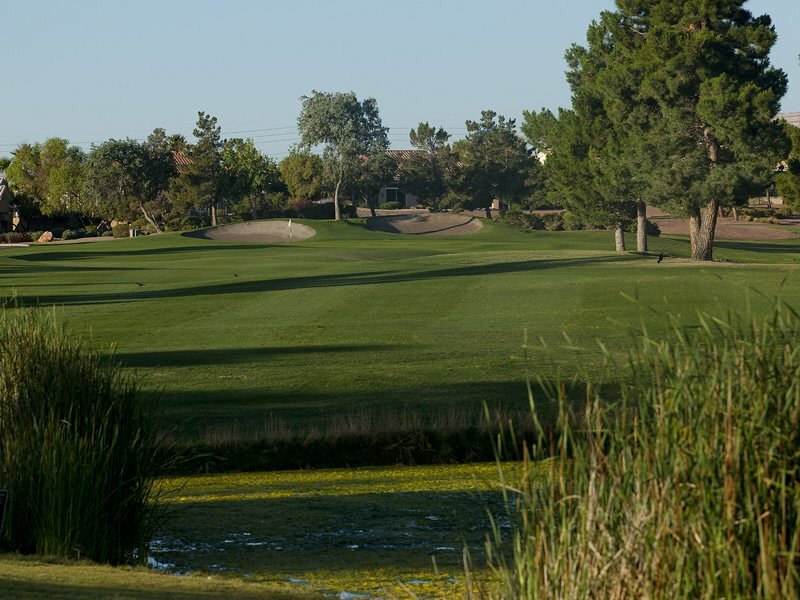 For a public course, Eagle Crest is kept in great condition. The tee boxes are level and contain plenty of perfect grass from which to hit a clean tee shot. 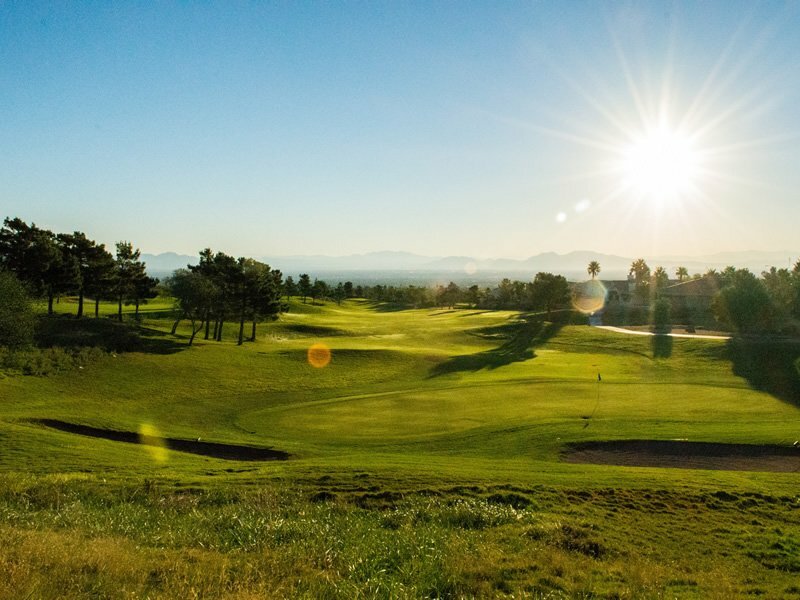 The fairways are in great shape and lined with deep, unforgiving rough. 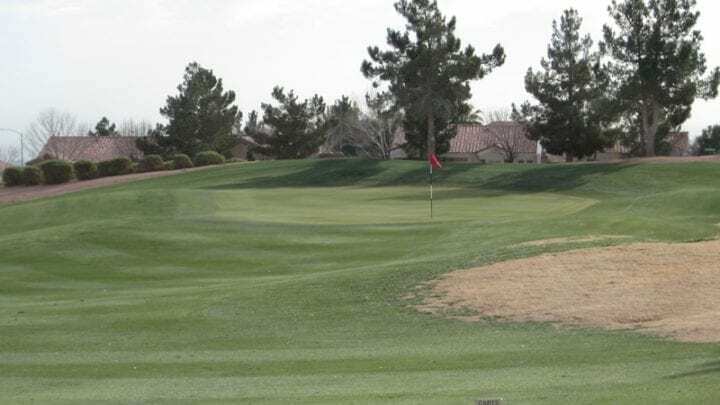 These deceptively fast greens are incredibly smooth, allowing your ball to roll true; choose a line and your ball will follow. 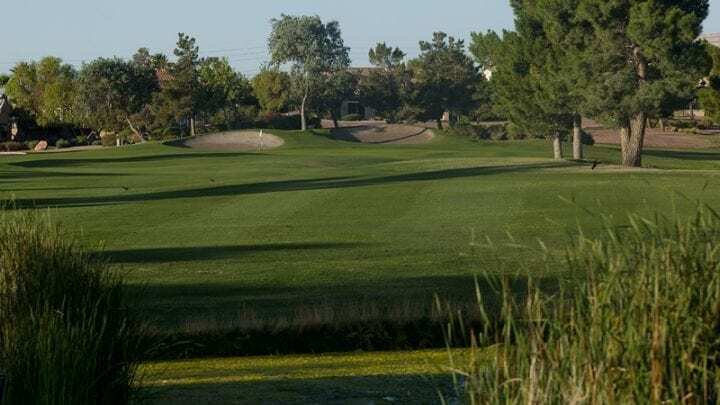 It is perfect for a couple that wants to go out and have some fun or if the guys want to have an exciting skins game for the 2nd round of the day. We know you will have a good time. 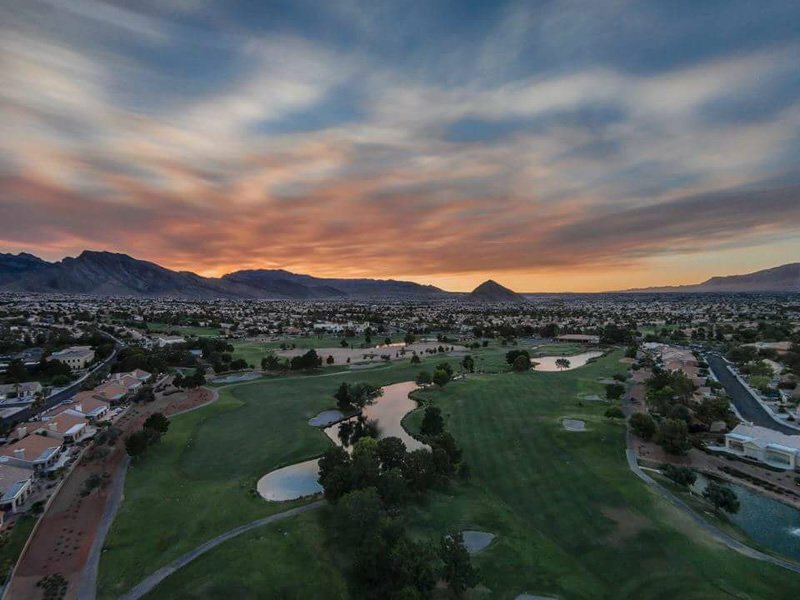 Eagle Crest Golf Club is located 20 minutes from the Las Vegas Strip. 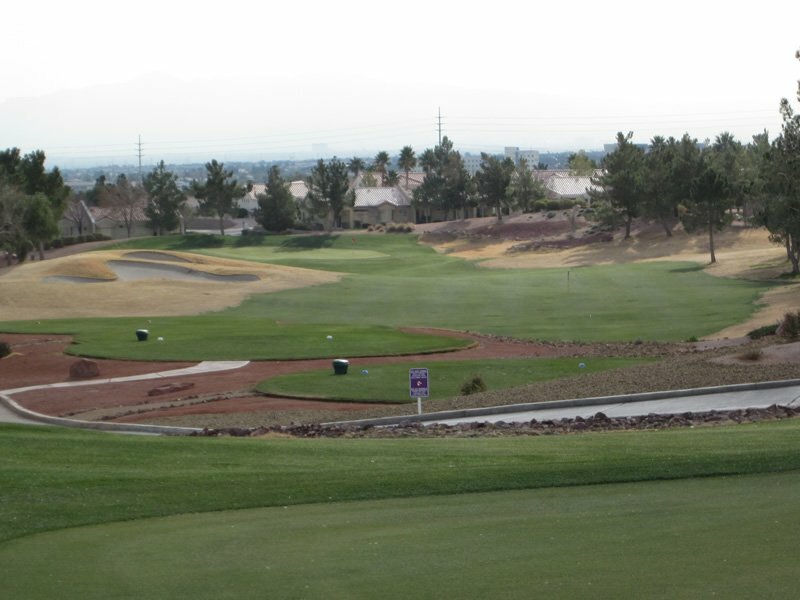 The course includes a driving range, chipping and putting green, golf shop, and a full bar and restaurant. 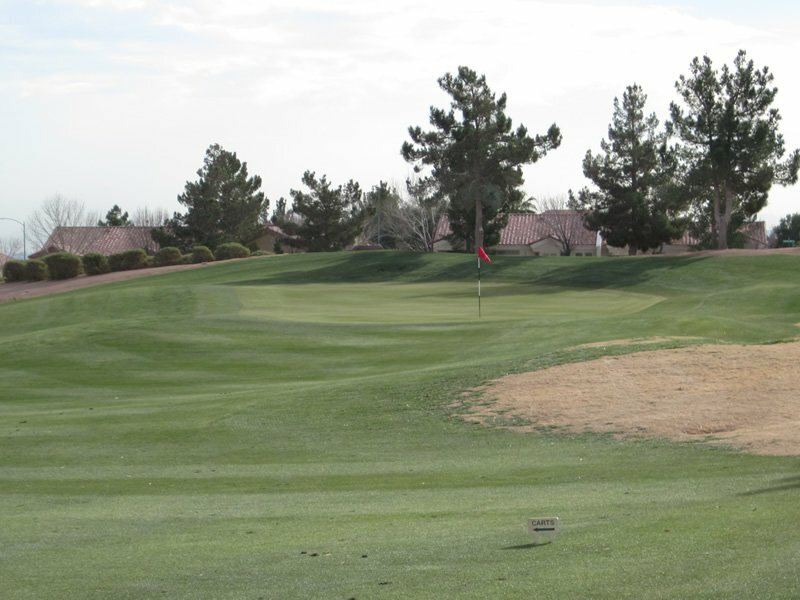 The course is lined with Bermuda and the greens come with slight to moderate breaks. 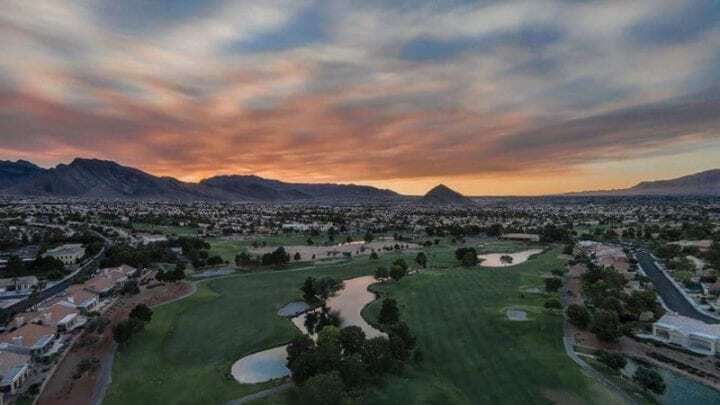 Enjoy a relaxing day at Eagle Crest Golf Course.